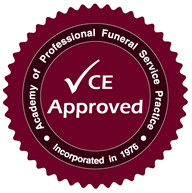 Funeral Directors and Embalmers in New Hampshire are required to complete 14 hours of continuing education every two years. The deadline is June 30, odd years. NOTE: Only 10 hours of the 14 hour CE requirement may be obtained from online or home study courses.